During the time this photo was taken, Jay had been training once every 7-9 days using HIT principles: one-set-to-failure on ~8 exercises. This is Jay’s third appearance on Corporate Warrior. We did plan to discuss HIT and diet in Part 2 but decided to focus on business instead. This episode is focused on Jay’s current exercise and diet regimen and how his approach and views have changed since we discussed this in Part 1 a year ago. Since opening his new gym, BioFit, Jay has reduced his training frequency to enable him to invest more time in growing his business. Jay has reduced from a split routine twice per week to a single full-body routine once every 5-10 days with practically no downside. Check out his workout below. Furthermore, sometimes he only eats one meal per day! Don’t think genetics are that important? Think again. QUESTION OF THE DAY: What is your current HIT routine? Please let me know in the comments at the bottom of this post. Hey Lawrence, another great interview! As you mentioned in the beginning, it’s people like Jay – knowledge, practice and appearance, that HIT needs in order to attract broader attention. Not even Dorian Yates… 😀 I had also mentioned that in my previous posts here and there. So Thanks for having him again and Thanks Jay for participating! With regards to topics discussed, listening to the interview, I almost felt flattered, that my oppinion and practice, coinsides so much, with a ones of a great man like Jay. I do not train arms as well with specific arm work for over six months now. I decided to give it a try after reading a study of James Steele on the topic and some works of Drew Baye etc. So far I can confirm, that for the upper limbs, since heavy pulls and pesses are present in ones training program and more or less medium grips are selected, arms do get trained quite sufficiently and as minimum do not suffer in size or appearance. So really for an advanced trainee, there may not be any need for direct arm work/waste of time and energy if ofcourse there is no specialisation arm development target or if it is largely enjoyable to train arms for a given trainee. Thanks again for the great work on the podcast and please keep up! Thank you Kamen. Appreciate your feedback and glad you enjoyed this episode. I love talking to Jay and will probably have him on again at some point so we can ramble some more. As per your point, HIT is up against a massive media machine that is pushing traditional, and often ineffective, health and fitness advice. It’s difficult to compete with millions of images of ripped guys and girls who’ve been “doing” these other programs. I think one of the issues in HIT is that there is not enough muscular and ripped representatives. Unfortunately, most people need this type of image to make them take notice, especially when the media have that in abundance. I strongly believe that is why the logic and science that underpins HIT struggles to get much exposure at all. Therefore, I think it’s important for everyone in HIT to optimise their own results and shout about it from the roof tops. Dr Ted Naiman does a great job on twitter, Jay is doing a good job, Dr Doug McGuff is doing a great job, I do what I can, and I see more and more HIT enthusiasts producing content online like YouTube and blogs, which is great to see. The HIT community just need to remember that billions of $$$ is being spent promoting conventional health and fitness using attractive physiques, and we cannot compete with that till either, we can show great results with HIT consistently on a mass scale or the average IQ jumps 30 points! LOL. Interested view on direct work. Recently had a debate on Facebook about this. I would like to experiment myself with combining big movements with direct. Hey Lawrence, I am very happy, that you share the opinion about HIT and it’s exposure. Outstanding people, combinig personality, appearance and wisdom are a must, but It is a fact that HIT itself went through quite a bit of evolution and some versions of it actually worked against it imo. We shall be patient as the batlle with the billions will surely take a long time. But I fully agree, that we all should try to look our best and to spread the word about things as much as possible. Still, even smart people will tend to listen/pay attention at least initially to someone looking good…this is human nature you know. Remember the Red Qeen? We appreciate other’s genes and attributies on subcontious level at least in the first moment by their looks. We have a saying in Bulgaria “You are welcomed by your clothes and said good bye by your wits 😀 So HIT physiques are needed very very badly, so at least to have a better chance to pass the knowledge in the first place. I personally am trying my best as in my country HIT is Zero so far! Still not on the internet blogging, but I dream of HIT business and things like that on a latter stage of life. I haven’t read Red Queen but I’ve heard it mentioned many times, and yes, I understand what you’re saying. It’s a shame we’re wired that way but it is what it is, and we just have to be smarter with our marketing. Fortunately, there are some people with huge audiences promoting HIT, such as Dave Asprey, who I know a lot of HITers dislike but you can’t deny that his podcast and book have, no doubt, had a massive impact on promoting the Big-5 and Body By Science, and HIT by proxy. I recently interviewed Pete Sisco regarding starting an online HIT business. Look out for that episode, for it might be very relevant. He’s had an online HIT business that generated him millions over the last 20 years – all completely online. And now he’s teaching other people to start online business. I can think of no one better places to help HIT enthusiasts create their own businesses since he has the specific skills and experience. Watch this space! Hey, fantastic episode, one of the best yet. Thanks for asking my question re fat loss, no need to worry, I’m not desperately seeking ripped abs! (although enjoyed the debate). I spent the last year or so dropping something like 10 BMI points, I’m down to 27.6BMI with a 34 inch waist, that’s down from over 40 inches. According to the NHS I need to drop anther 10kg so was asking for that really. I’ve no idea how much fat I’ve dropped as the HIT has taken my muscle mass so much higher than I ever had before. Thanks for the tip, I had a “cheat” side of spaetzle with my dinner last night and found that my appetite control was greatly improved (disclaimer I also ran 4km that morning an took a cold shower). Also I couldn’t agree more with Jay’s view on ROM, it just seems self evident that you shouldn’t put extreem loads on tendons at full extension. You’re welcome Andrew. You ask so many great questions, I do my best to ask at least one! I’m sure you may know but BMI isn’t always a very helpful measurement. If you have a 34 inch waist it seems strange to me that you need to drop another 10kg! I understand the problems with BMI but there’s a couple of reasons I want to use it as a measure. Firstly if I stay within NHS guidelines it means that I can’t be given the talking to if I ever end up in the doctors office. Additionally I believe it may enable me to gain generally favourable treatment on the NHS in the future should I suffer with what are considered conditions caused by “lifestyle”. Yes, 10kg sounds excessive, I’ve got a broad frame and carry most of my fat on my torso. Unfortunately due to my shrinking waistline a good deal of my abdominal fat “hangs” below my trouser waistband, as you can understand that’s not a “good look” hence my desire to cut it right back. Edit: NHS BMI calculator says I should lose between 8 and, wait for it…..28kg to be “healthy” lol I think I’d die if I lost 28kg. Another great podcast ! 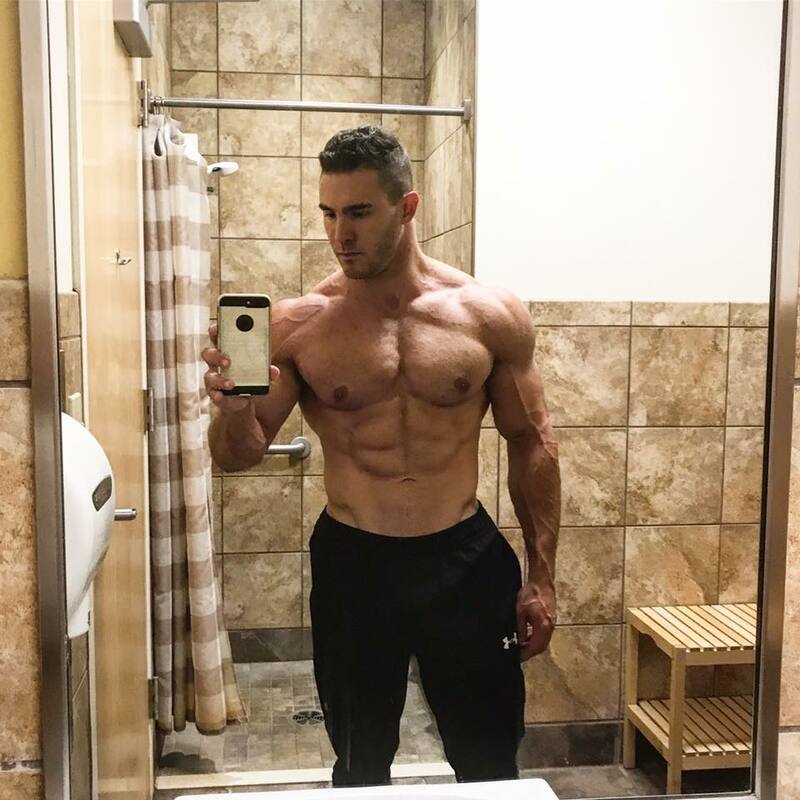 It was funny listening to Jay talk about Ben Pakulski as so many ” pro bodybuilders ” like him actually are very ignorant about the subjects of training and nutrition even though many would think otherwise . Thanks Enlite. Appreciate the positive feedback. Jay is always a pleasure to interview. I don’t know Ben that well so I can’t comment on him but I do think that there are SO MANY personal brands out there that are blessed with superior genetics and profiting hugely as a result. It’s amazing to me how most of the world still falls for it when it’s practically all down to genetics and in some cases, PEDs. Yes that’s very true that some people are just born with certain proclivities that others are not and this is something that doesn’t get brought into the equation so to speak when discussing these topics . As for Mr Pakulski i wasn’t singling him out per se but it’s kind of hard not to as he seems to advertise himself as some sort of training/nutrition guru . And what Jay pointed out about what Ben is promoting as far as ROM and stressing muscles where they are most vulnerable is just plain stupid and dangerous ! Yea and not to beat a dead horse, but I had two recent conversations with Jim Flanagan (https://highintensitybusiness.com/productivity/jim-flanagan-part-2/) and Mike Bradley (Florida State University Basketball Strength & Conditioning Coach) that really confirm and remind me how genetics determine practically everything. Sometimes I lose my way and chase unrealistic gains. Mike is working with some of the best physical specimens in the world so he has first hand experience in seeing how young athletes respond to a training stimulus. I have no issue with people who want to optimise what they can get, so long as they’re comfortable with these facts.